Bowker has ranked Smashwords the largest US producer of indie ebooks in 2012 according to their new annual Self Publishing Report for 2012. Smashwords was also ranked as the second largest producer of self-published books after CreateSpace when counting the combined production of both print books and ebooks (Smashwords doesn't do print). Bowker, the ISBN registrar here in the US, bases their data on ISBN registrations. Although their data set doesn't include non-ISBN'd books, it represents the industry's most comprehensive measure of the rise of self-publishing and the rise of ebooks. 92% of Smashwords ebooks carry an ISBN. 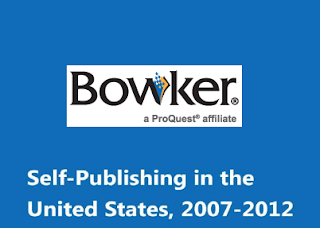 According to Bowker's analysis of U.S. ISBN data, the number of self-published titles in 2012 jumped to more than 391,000, up 59 percent over 2011 and 422 percent over 2007. 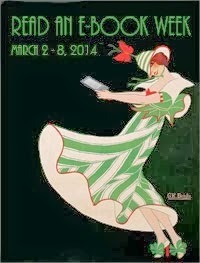 Bowker says ebooks continued to gain on print, comprising 40 percent of the ISBNs that were self-published in 2012, up from just 11 percent in 2007. Although I'm pleased to see Smashwords come in at number one, I'm even more excited about what Bowker's overall data says about the rise of self-publishing. Indie authors are taking publishing matters into their own hands. The three most essential requirements of professional publishing - the printing press, the access to retail distribution, and how-to knowledge of professional publishing best practices - are now freely available to all indie authors. Smashwords is committed to providing writers these tools. Any writer, anywhere in the world, now has the freedom to publish without a publisher, and can do so at little to no cost. As indie ebook authors, these writers can enjoy faster time to market, greater creative control, closer relationships with readers, greater price-competitiveness, better marketing and promotion tools, and royalty rates four to five times higher than they'd get from traditional publishers. The day will come when more writers aspire to indie publish rather than traditionally publish. Is the industry ready? Congrats to every Smashwords author and publisher. You're changing the world of publishing one indie ebook at a time. Download the Bowker report for free at their SelfPublishedAuthor blog. The congratulations have to go to you Mark for making it possible for authors to succeed in this new wave of publishing. A big 'Thank You' from all of us. I posted your information and link on Smashwords Forum. PS: First comment had error in link. Fantastic, Mark! Question: I still get asked regularly by authors if they should buy an ISBN. I reply only if you have print books and plan to aggressively go after bookstores to carry it. Do you see any other reason authors really should purchase their own ISBN? Hi Jason. Every ebook author should have an ISBN, and they're free at Smashwords (we recently purchased a block of 200,000) or they can buy them in blocks at Bowker. We require an ISBN for distribution to Apple, Kobo, Sony and others. If an author doesn't have an ISBN, it can prevent the retailers from reporting their sales results to the NYT (and possibly others). At Apple, the world's #2 global seller of books, their FAQ states: "The ISBN is also required for reporting your book's sales to the industry reporting agencies and charting organizations." Of course. I prefer the free ISBN that Smashwords provides for my ebooks. My question was addressing the advantages of buying one. When does it make more sense to buy one? Jason - it makes sense if you wish to be the publisher of record instead of having Smashwords (or Google, or CreateSpace, etc) being the registered publisher of record of your book. 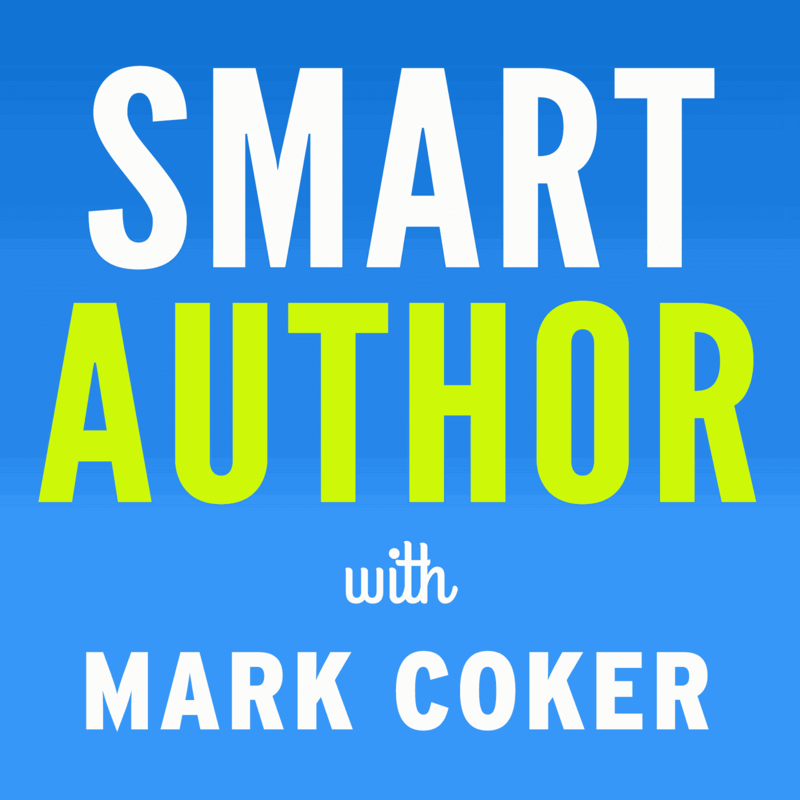 Mark - I don't know if you noticed, but there's a correlation between your success and Author Solution's (spit) loss. Good work displacing those scammers. The confusion around some of this arises from some of the common and long-lingering misconceptions about ISBNs. If you buy one, you're listed as the "Publisher" in the Bowker record are listed in their Books in Print database as the publisher. Since this is not a common method of how readers discover books, there's little advantage to being listed as the publisher. Some writers mistakenly believe that if they "own" their ISBN or are listed as the publisher, they have a better claim on the copyright of their book. Not true. ISBN has nothing to do with copyright. There are still some writers out there who haven't yet shaken the old thinking of the prior stigma of self-publishing, and they think if they can pose as a publishing company, readers won't discover they're "just" a self-published author. This thinking was more prevalent a few years ago than it is now, because most authors realize that indies are the cool kids club now, and readers care about the author name not the publisher name. There's also an old conception that readers will look at the ISBN number and try to make judgements about whether the ISBN is for a self-published or traditionally published title. Readers don't know how to do that, nor would they want to do that. Yet some of these old counterproductive ideas still linger in the minds of some. There are a couple minor downsides to being listed as the Publisher in the Bowker record: 1. Many Smashwords authors have reported that if they purchase an ISBN, their postal mailing address goes in the Bowker database, and they begin receiving junk mail solicitations from publishing services companies. 2. Authors who purchase their own ISBNs need to remember to update their ISBN's metadata because it can quickly go out of date or fall out of sync with the book updates they're making at Smashwords or other platforms. In the end, we let the the author decide if they want to buy their own from Bowker or use ours. As long as it's a unique ISBN for their .epub, we're happy either way. Hi Steve, we can only hope. The biggest threat ASI faces is that the indie author community is becoming smarter, more sophisticated and more professional each year, and indies share information. Experienced indies know to avoid the ASIs and PublishAmericas of the world. The ASI business model is all about exploiting authors by selling them overpriced publishing packages, so while these numbers hint at a decline in 2012 measured by books published, we don't really know if they've managed to upsell more overpriced services to their existing authors. For all we know, the various ASI brands' businesses (measured in sales of services to authors, not sales of books to readers) are thriving. As I've posted previously, I think ASI has significantly and in some cases unfairly harmed the reputation of all traditional publishers in the minds of the sophisticated indies. The move confirmed the worst fears among some members of the writing community about publisher attitudes about writers. It's sad, really, because there are many good people who work for publishers and who advocate for writers. Hi Mark, how do you explain the difference between the Bowker data and the data Smashwords provided in September? Bowker says Smashwords published 90K ebooks in 2012 while your data says 191K for 2012. Hi Marco, the Smashwords catalog of published books reached 190,500 at the end of 2012, of which about 98,000 were new for 2012. So Bowker's numbers slightly understated the true number since they were only looking at ISBN'd titles. More on 2012's EOY results in my 2012 Smashwords Year in Review post. Thanks. The numbers are quite close for 2012 indeed. While the difference is larger for previous years. I guess still because of titles with no ISBN. And thanks for being so open and transparent about Smashwords metrics. Looking forward to 2013 numbers.